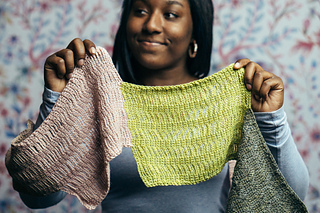 A collection of 6 knit and crochet accessory projects that explore our lightweight yarns. 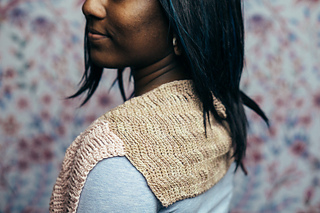 Perfect for your new go-to Spring project! 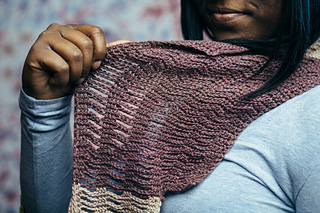 Ahora is a crocheted wrap, worked in a lightweight stitch to show off Serena’s airiness and drape. 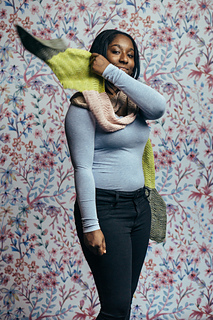 5 colors connected give this scarf a playful way to work with your favorite Springtime hues. Manos del Uruguay SERENA (60% baby alpaca/40% pima cotton, approx. 170 yds/50g): 1 sk each of 5 colors. 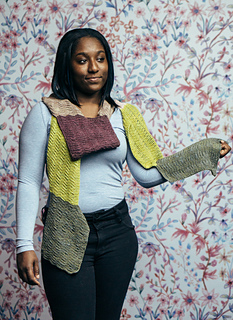 This scarf is reversible, but RS and WS designations are given to aid in understanding the pattern instructions.